"The Poutine Donut will be a Honey Dip Donut topped with potato wedges, gravy and cheese curds. 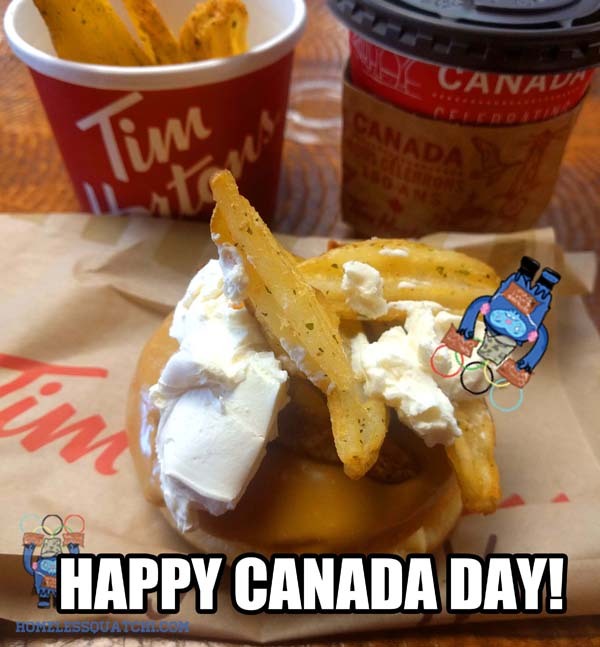 Customers will be able to find the Maple Bacon Iced Capp and the Poutine Donut at select Western New York locations on only July 1. 44 Hamburg Street in East Aurora"
Here is Homeless Quatchi's Poor Man's Poutine Donut. And don't forget to Rrroll Up the Rim to WIN!